Does Mixer Performance Influence on Air Entrainment of Concrete? The usual maintenance work of mixer is to clean it after mixing is completed so that no residue of hardened or semi-hardened concrete remains on surface of drum and also on the blades. If proper cleaning is not done the blade may be coated by hardened concrete, sometimes the blades may also be worn out. 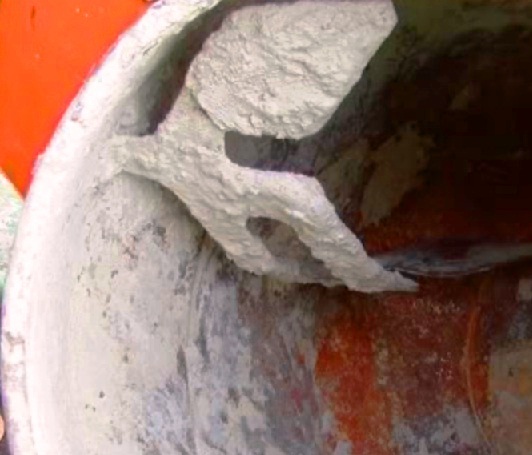 Such worn out and or coated blades may reduce air entrainment in concrete for a given mixer. b. Air content is decreased when a mixer is loaded exceeding its capacity. It is observed that air entrainment increases throughout first 70 revolutions of mixer after that they remain constant for short duration and after that a decreasing trend is observed. Brilliant post. such an insight about concrete engineering is rare.